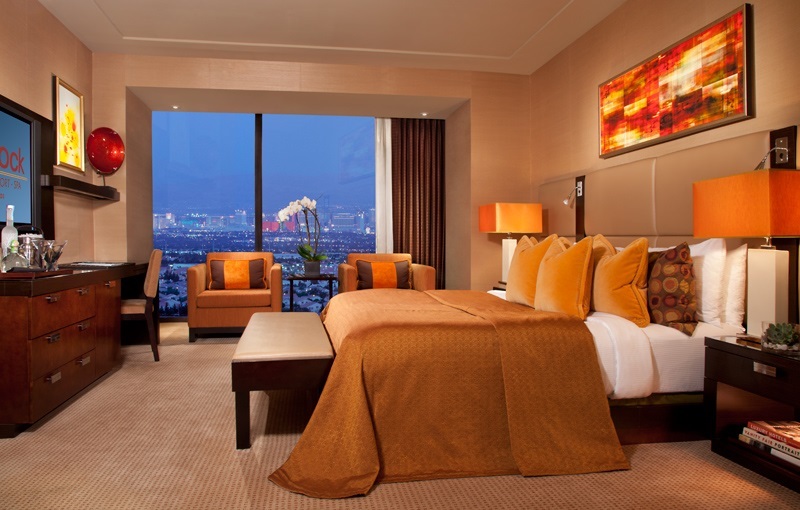 Our two bedroom Las Vegas suites are twice the fun! 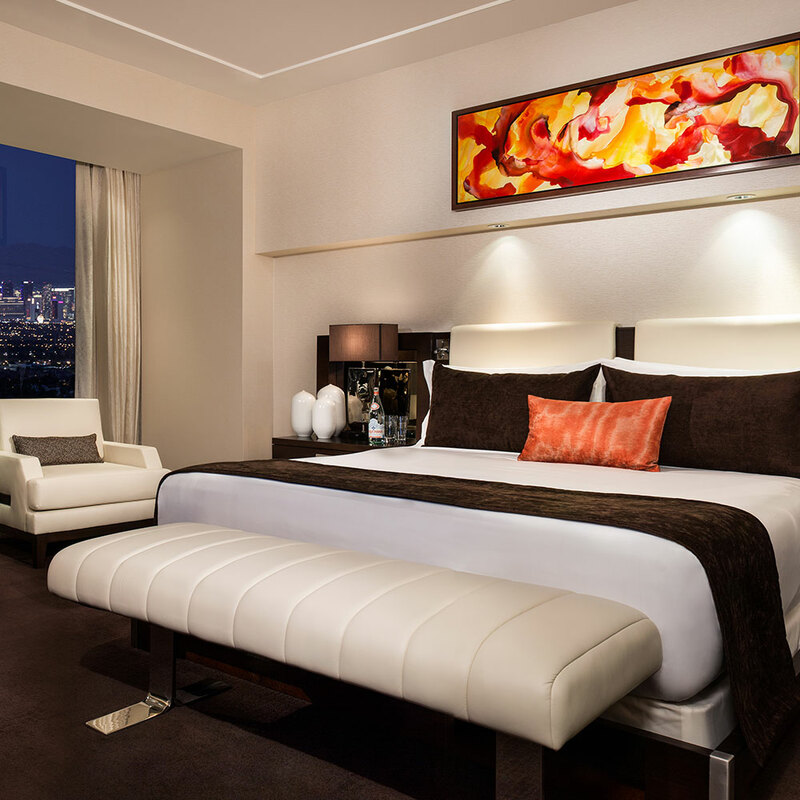 These luxurious Las Vegas hotel rooms come in a standard 1,545 square foot single bedroom configuration, or a more spacious 2,060 square foot two bedroom, two bathroom version. 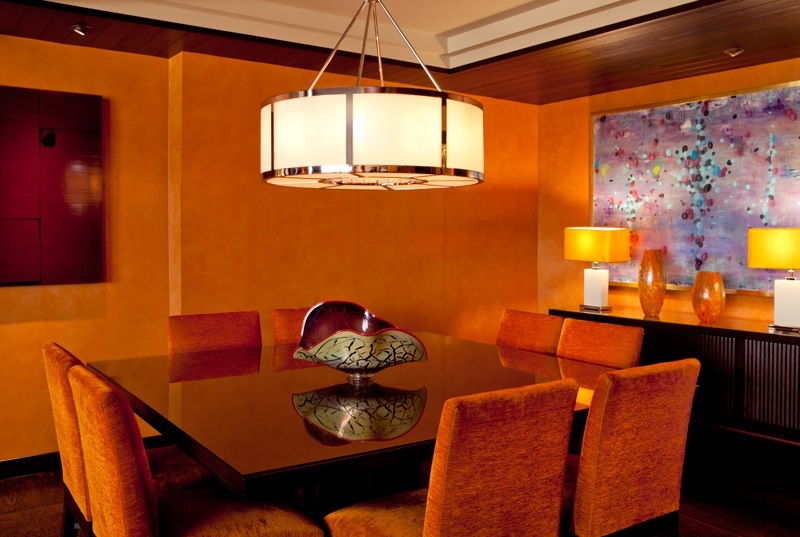 Our luxury suites let you stay and play in style, featuring a wide variety of luxurious features and fantastic amenities. The luxury suite’s parlor features an abundance of incredible amenities, from the 65-inch High Definition Plasma TV with a CD/DVD player and surround sound system, an oversized L-shaped sofa, a dining table for eight, a ½ bath, a large wet bar with 42-inch High Definition Plasma TV, an in-room ice machine, under-the-counter fridge, fully motorized drapes, a full Creston Audio, Visual and Lighting Control System, VOIP internet phones and Bose Wave® radio featuring an integrated iPod docking station. 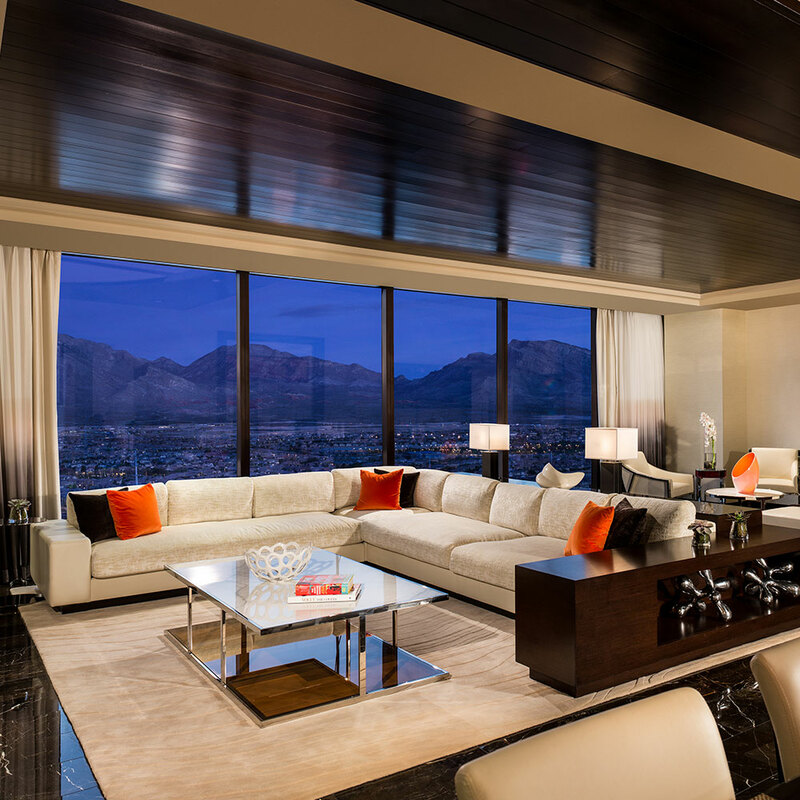 This off the strip hotel suite effortlessly combines classic elegance with modern conveniences, presenting you with a plethora of luxurious amenities. Plush down duvets, down pillows and ultra-soft 320-thread count Egyptian cotton linens await you in the luxury suite’s spacious master bedrooms. 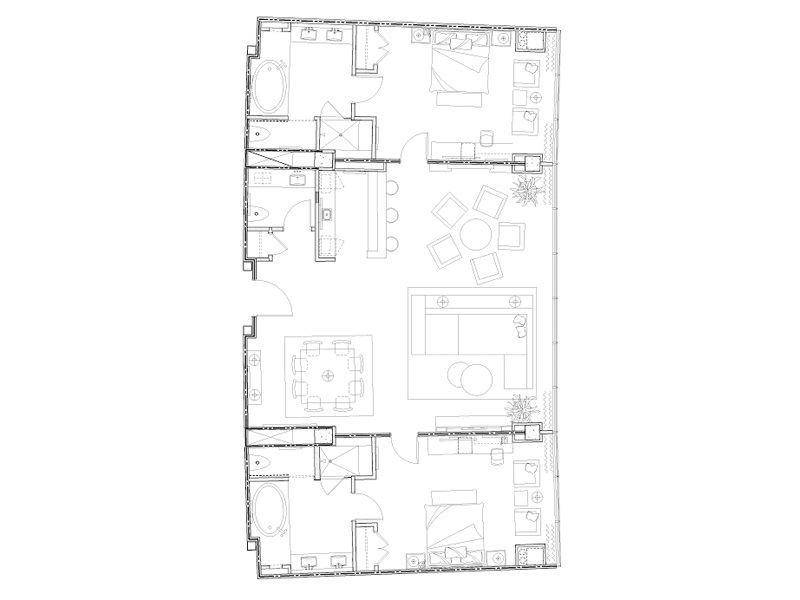 Each master bedroom also features its own 50-inch High Definition Plasma TV, multiple high-speed data jacks, an iPod docking station, an automated private bar, an in-room safe and a full-length mirror. 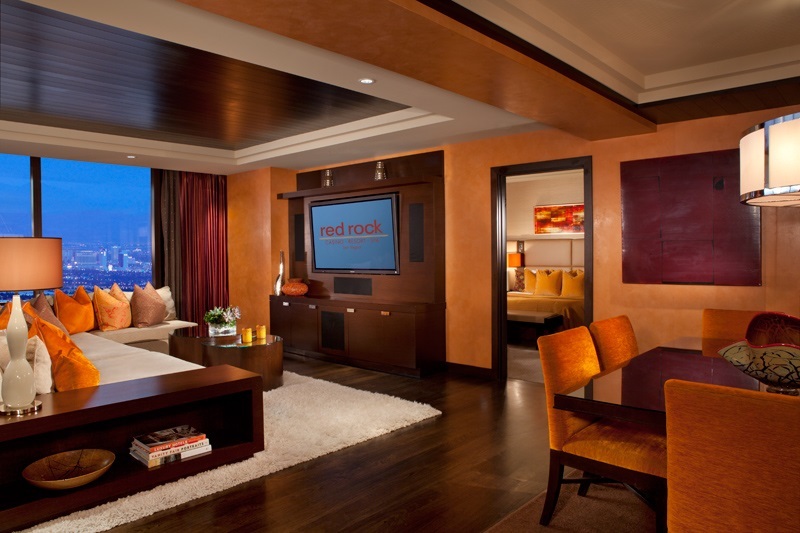 If it’s luxury that you’re looking for, the luxury suite has got it in spades. 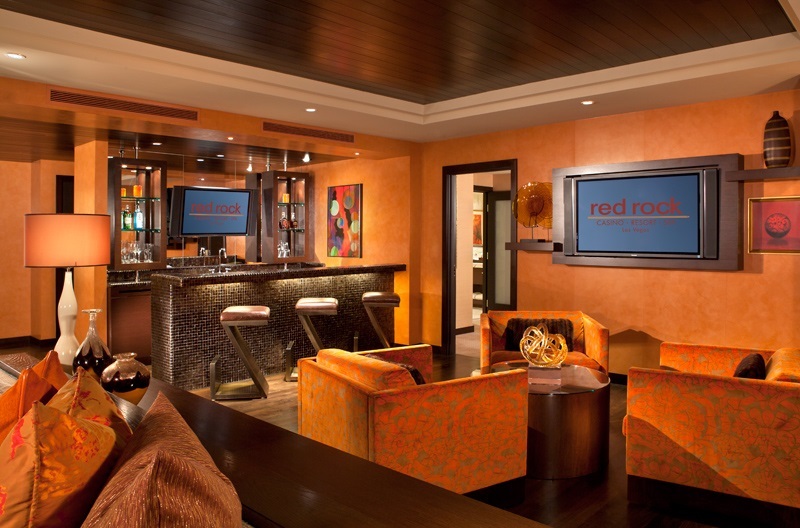 Don’t be afraid to hit the gaming or dancing floor hard, because comfort awaits you back in the luxury suite! Our Calcutta marble bathrooms are the perfect setting for unwinding, featuring a deep soaking tub, separate showers, lighted makeup mirrors, dual sinks, plush terry robes, comfy slippers and a 15-inch LCD TV. Our exceptionally luxurious bathroom amenities promise you rejuvenation, revitalization and the ultimate experience in relaxation.